The St. Louis Cardinals system went 3-4 on Wednesday as relief troubles were a common theme. Player of Day Stefan Trosclair singled, doubled, homered and plated three for Palm Beach. Recaps of games played on Wednesday, August 15. By taking advantage of shaky Redbirds pitching, the Baby Cakes won Wednesday’s game by a 10-6 score at Memphis’ AutoZone Park. Redbirds starter Connor Jones needed 73 pitches to make it through three innings of four-run ball. Jones walked six batters and surrendered a two-run home run. Giovanny Gallegos pitched a clean fourth inning before Dominic Leone allowed a grand slam in the fifth inning, the big blow of the game from the Baby Cakes. 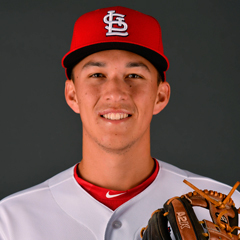 Leone was charged with his first loss as a Redbirds rehabber from St. Louis. Landon Beck was scoreless across the sixth, seventh, and eighth innings, and Edward Mujica served up a two-run long ball in the ninth. Memphis second baseman Tommy Edman was 2-for-5 and hit his first Triple-A home run, a two-run shot in the second inning. First baseman Alex Mejia and catcher Carson Kelly each had two hits, and third baseman Edmundo Sosa had two runs batted in. The Redbirds stranded 10 baserunners in the contest. 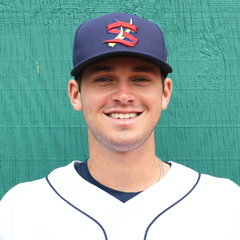 Thursday’s game: Tyler Lyons (0-0, 0.00) vs. New Orleans Baby Cakes, 7:05 PM Central time. With a seven-run outburst in the top of the ninth inning, the Missions charged to an 8-3 victory on Wednesday in Springfield. 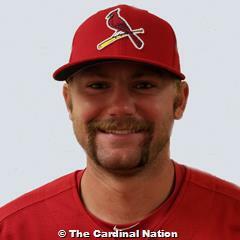 Cardinals starter Casey Meisner worked five innings and held the Missions to one run. Einiery Garcia recorded two outs before Will Latcham worked scoreless 1 1/3 innings. Seth Elledge then entered and turned in a scoreless eighth before it unraveled in the ninth. With two outs, the Missions rallied for seven runs, including four against Elledge and three off Derian Gonzalez. Elledge took his first blown save and loss in Springfield. At the plate, Cardinals first baseman John Nogowski was 3-for-4. Right fielder Blake Drake hit a home run, his sixth of the season. Springfield combined to go 1-for-4 with runners in scoring position and stranded 11 runners on base. Thursday’s game: Evan Kruczynski (2-1, 0.43) vs. San Antonio Missions, 7:10 PM Central time. On the strength of four unanswered runs, the Cardinals enjoyed a 6-4 home win over the Tarpons on Wednesday. Left fielder Stefan Trosclair, our Player of the Day, went 3-for-4 with a double, a home run, and three runs batted in. Shortstop Kramer Robertson and third baseman Elehuris Montero both had two hits and a stolen base. Palm Beach went 5-for-14 with runners in scoring position. On the mound, Jake Walsh logged four innings of two-run ball. Mike O’Reilly came up with 2 2/3 frames of relief, and it was Jason Zgardowski and his 2 1/3-inning outing who earned the win. Zgardowski was scoreless across the final three innings and collected his second win in three decisions. Thursday’s game: TBA vs. Tampa Tarpons, 5:30 PM Central time. Due to rain, the game between the Chiefs and Kernels in Cedar Rapids was suspended in the bottom of the first inning on Wednesday. The scoreless affair will resume on Thursday prior the the regular game, which will be shortened to seven innings. Thursday’s game: TBA at Cedar Rapids Kernels, 6:35 PM Central time. The Spikes scored three runs early, but the pitching did not hold up as the visiting Crosscutters won Wednesday’s contest, 5-3. 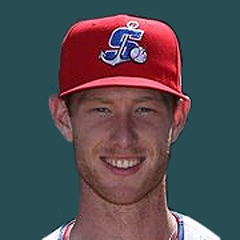 Spikes first baseman Brady Whalen hit his fourth home run of the season in the second inning, and designated hitter Stanley Espinal was credited with the other run batted in for State College. The Spikes had seven hits and three walks and stranded eight runners. State College starter Diego Cordero allowed four runs in his five innings of work. Winston Nicacio followed with two scoreless innings of relief, and Edgar Gonzalez allowed a run as he worked the eighth and ninth innings. Cordero dropped to 2-3 on the season with the loss. Thursday’s game: Jacob Schlesener (2-3, 3.09) vs. Williamsport Crosscutters, 6:05 PM Central time. The Cardinals were off Wednesday and will continue play Thursday on the road. Cole Aker (4-1, 4.17) will take on the Princeton Rays at 6:00 PM Central time. Everything went wrong for the Cardinals on Wednesday in their 10-0 defeat by the visiting Nationals. The Cardinals had only four hits, two off the bat of center fielder Diomedes Del Rio. Del Rio and third baseman Raffy Ozuna each tripled, and right fielder Jhon Torres doubled. Despite the extra-base hitting, the Cardinals could not push any runs across the plate. The Nationals, however, had a different story. Cardinals starter Perry DellaValle didn’t pitch too badly, as he worked four innings of two-run ball with eight strikeouts. He took the loss, nonetheless, and dropped to 0-2. Jose Geronimo worked three innings before Griffin Roberts and Wilberto Rivera combined to allow six runs in the top of the eighth inning. Rodard Avelino worked a scoreless ninth, but it was to no avail. Thursday’s game: vs. GCL Mets, 9:00 AM Central time. Powered by eight runs in the fifth inning, the Cardinals Red stormed to a 15-5 victory over the Diamondbacks 2 on Wednesday. Every player contributed at the plate for the Cardinals in their big win. Four players (first baseman Claudio Ramirez, shortstop Yowelfy Rosario, catcher Joyser Garcia, and designated hitter Luis Andujar) had two runs batted in apiece, and center fielder Joerlin De Los Santos and second baseman Franklin Soto each scored three runs. The Cardinals took advantage of six Diamondbacks errors, garnered 14 total hits and went 8-for-19 with runners in scoring position. Picking up his fourth win of the season, starter Ludwin Jimenez fanned eight Diamondbacks batters across six scoreless innings. Relievers Dionys Rodriguez and Augusto Calderon combined to log the final three frames, with only two of the five runs earned. Thursday’s game: vs DSL Diamondbacks 2, 9:30 AM Central time. With timely hitting in the back half of the game, the Cardinals Blue enjoyed a 7-5 win over the Nationals. The Cardinals scored four runs in the sixth, one in the seventh, and one in the eighth to fuel their victory. Second baseman Ramon Mendoza and center fielder Darlin Moquete each scored two runs, and third baseman Malcom Nunez led the way with two runs batted in. 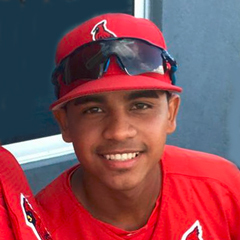 Mendoza, Moquete, left fielder Jean Selmo, and shortstop Sander Mora doubled, and the Cardinals combined to go 5-for-11 with runners in scoring position. On the mound, starter Francis Ventura logged six innings and held the Nationals to four runs. Ventura was relieved by Josue Ramirez, who recorded two outs, before Leonardo Taveras took over. Taveras worked 2 1/3 scoreless frames to close out the game and earn his fourth win in five decisions this season. Thursday’s game: at DSL Nationals, 9:30 AM Central time.